We are making progress in bringing the Assassin Kayak Paddles to market. As you remember, we needed around $100,000 for the mold tooling, shaft purchase, initial manufacturing run, assembly and marketing. Roughly 65% of the costs was for the blade mold tooling. I know some of you are having a hard time digesting the $65,000 to make a mold…but the mold is 100% of our business!! Our patented designed blades are manufactured with a pressure injection molding process. These molds are extremely large, very sophisticated, highly detailed and labor intensive. Without said mold…no plastic blades, therefore NO paddles. Assassin Kayak Paddle CAD photo. We are in the process of working a deal with our plastics manufacturer, Peliton Plastics in Valdosta, Georgia. Yeah…made in the USA!! They have considered amortizing the mold tooling costs over future production runs. Basically, they will up-charge us an extra couple of dollars for each blade manufactured, from which a portion will go towards paying down the initial cost of tooling the mold. Having secured the “big end” of the project…we are not out of the woods yet! We still need to raise at least $40,000 to $50,000 in cash to finish the project. We need to import shafts, purchase drip rings, purchase materials for assembly and market the paddles. So again I ask…”we are still looking for investors to finish the project.” Getting in on the ground floor of this revolutionary paddle development is epic for investors. Anyone has, or knows of someone who has, some cash “squirreled away” for a big investment…send them my way. I will make their investment opportunity very lucrative! We are half way there!! 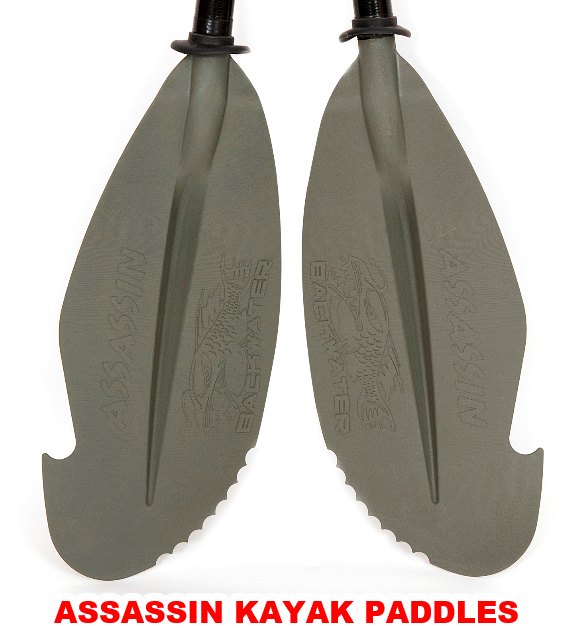 The Assassin Kayak Paddles will revolutionize paddle sportsmen’s stealth and mobility!! Failure is not an option!! Find us the money!! This entry was posted in Assassin Kayak Paddle, Backwater Paddle Products, Marketing My Company on June 27, 2016 by Paddleman.